Individual and small buiness tax planning and tax preparation. 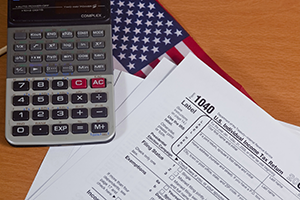 Trust, estate, and non-profit tax planning and tax preparation. International corporate structuring and tax preparation. Sales and use tax, payroll, property, and other business and occupation tax preparation. IRS and other taxing authority representation. Financial modeling and business consulting. Accounting software implementation and accounting function assessment. I have clients in a variety of business disciplines including: manufacturers and metal fabricators, photographers and videographers, professionals such as architects, attorneys, doctors and pilots; retailers, and dance show competition organizations, and a variety of non-profit organizations. Darren Smith has been practicing public accounting since receiving his CPA certification in 1999. Darren received his undergraduate degree from San Jose State University and his masters degree in Taxation from Cal State University, Hayward. In addition to being a CPA, Darren is a Certified Managerial Accountant (CMA), and a Certified Internal Auditor (CIA). Darren has spent over a decade working in the field of taxation with an emphasis in small corporations, family partnerships and limited liability companies, and non-profit corporations. In addition Darren has worked as a Controller for several technology start-up companies in which he built the accounting department and reporting function for domestic and foreign reporting entities.